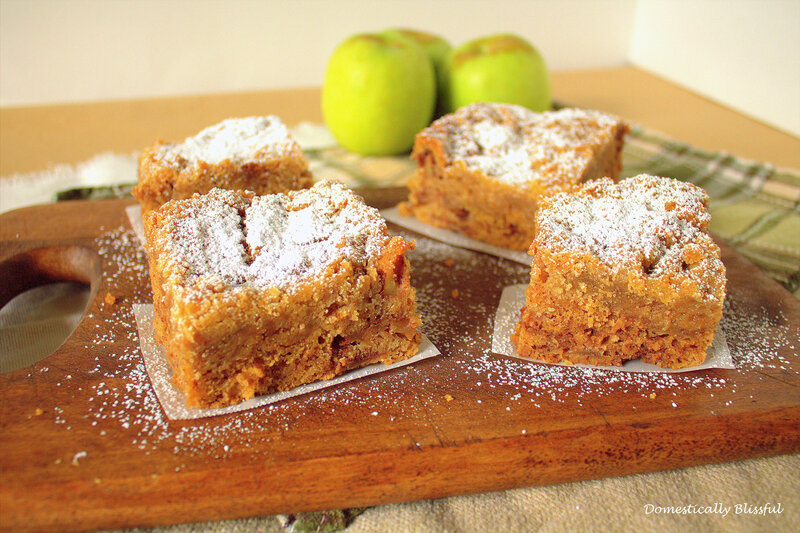 My husband and I have not been agreeing on what special treat I should make for the weekend – last weekend – I wanted to make Apple Cinnamon Muffins with a Streusel topping and he wanted Coffee Cake. 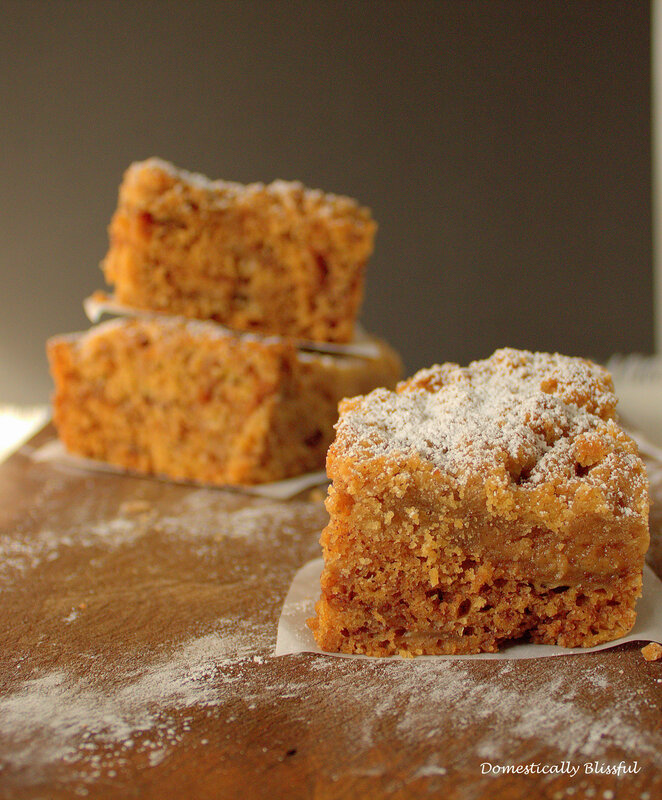 We decided to compromise and I am so glad we did – although I still plan on making those muffins in the next couple of weeks, stay tuned! 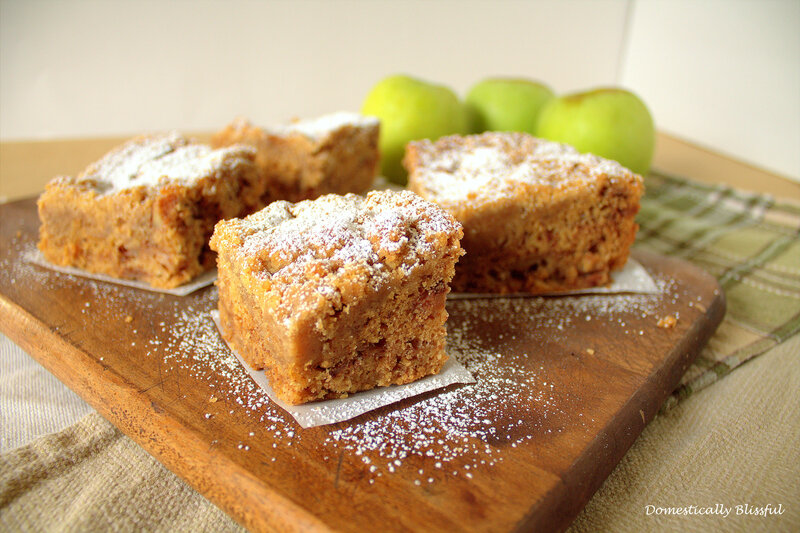 Warm, moist, and filled with the flavors of fall this Apple Cinnamon Coffee Cake is absolutely delicious! Even though I am not always the most patient when it comes to waiting for desserts to finish baking, this coffee cake was completely worth it. First, preheat the oven to 350°, butter a 9″ x 13″ pan – this is the 2-3 tablespoons of butter listed under “cake” – and make the topping and middle layer. In a medium sized bowl mix together the 1 ½ cups all purpose flour, 1 cup packed brown sugar, 1 teaspoon cinnamon, and ½ teaspoon salt. Then take the 1 ½ sticks of very cold butter and use your hands to break it up into the flour mixture – like when making apple cinnamon scones or lemon blueberry scones. They should be about the size of large peas – although some of mine were a bit larger. Keep cold for later use. For the middle layer mix together in a small bowl 1/3 cup packed brown sugar and ½ teaspoon of cinnamon and set to the side. In a large pan cook the apples for about 3-4 minutes at medium heat then add the 1 tablespoon of cinnamon and set to the side to cool. Now on to the cake. 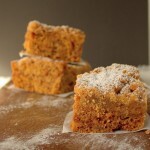 First, sift the 1 ½ cups of cake flour, ½ cup of self rising flour, 1 teaspoon baking soda, 1 teaspoon baking powder, and the 3/4 teaspoon of salt in a medium sized bowl and set to the side. In a large bowl cream the 1 stick of butter with the ½ cup of sugar and ½ cup brown sugar. Then blend in the 2 eggs – one at a time – and the 1 teaspoon of vanilla. 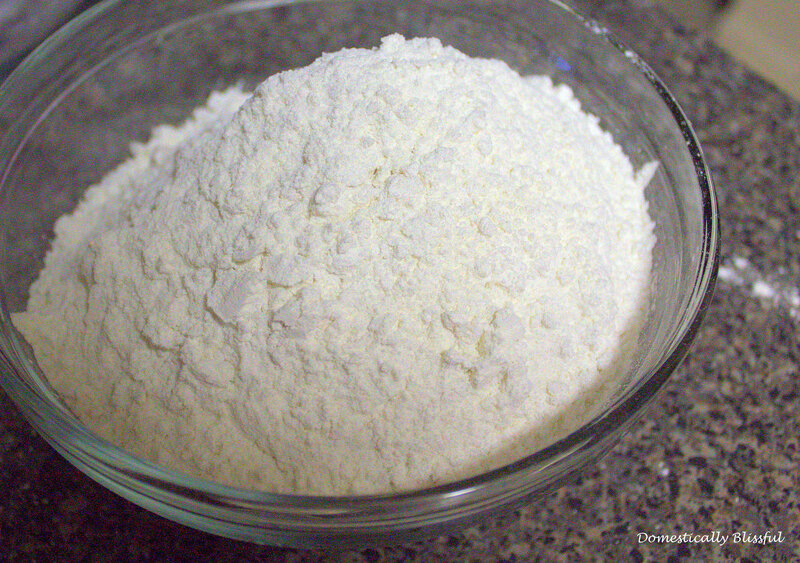 Next, combine the flour mixture and the sour cream to the creamed butter – alternating between the two. I added about 1/3 of the flour mix, then half of the sour cream, then the next 1/3 of the flour mix, then the second half of the sour cream, and then finally added the rest of the flour mix. Confusing? I think so too! 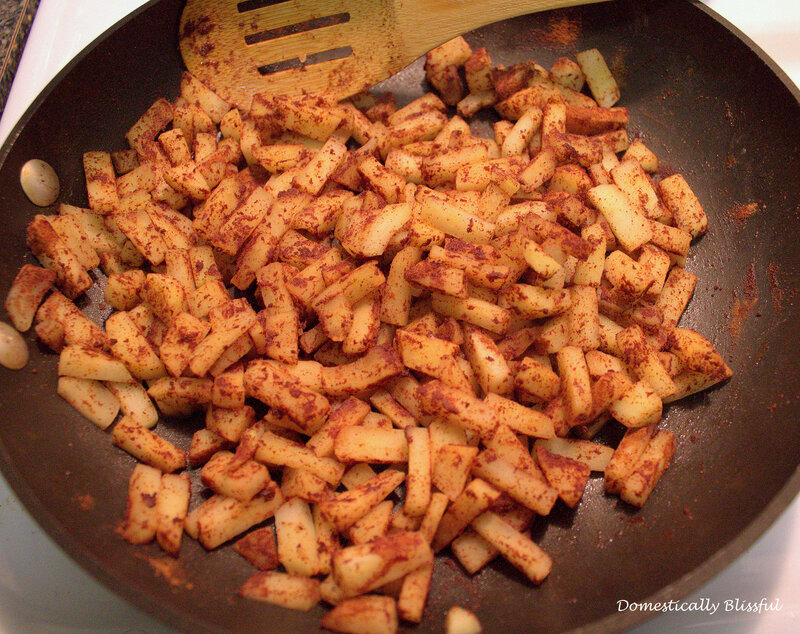 Then fold in the cinnamon apples. 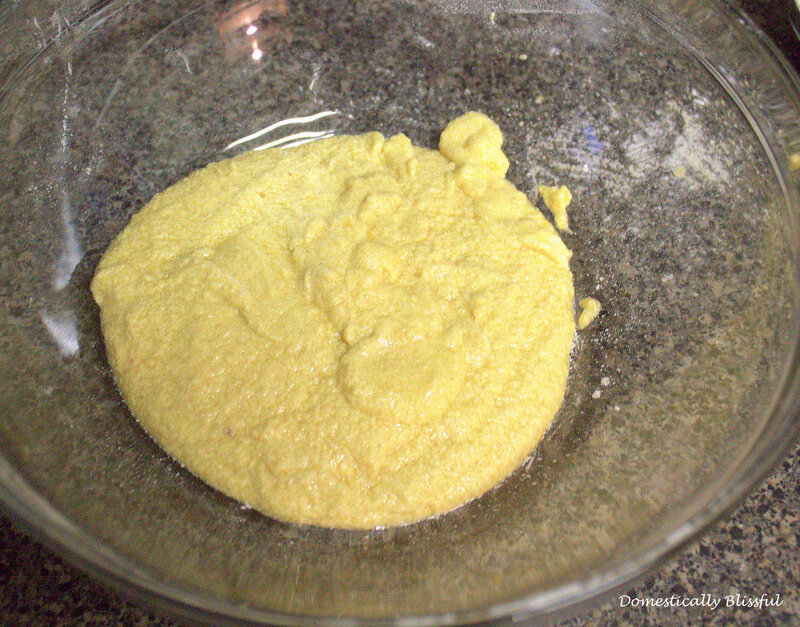 Pour half of the mixture in the prepared pan, and then evenly sprinkle the middle layer over the batter. 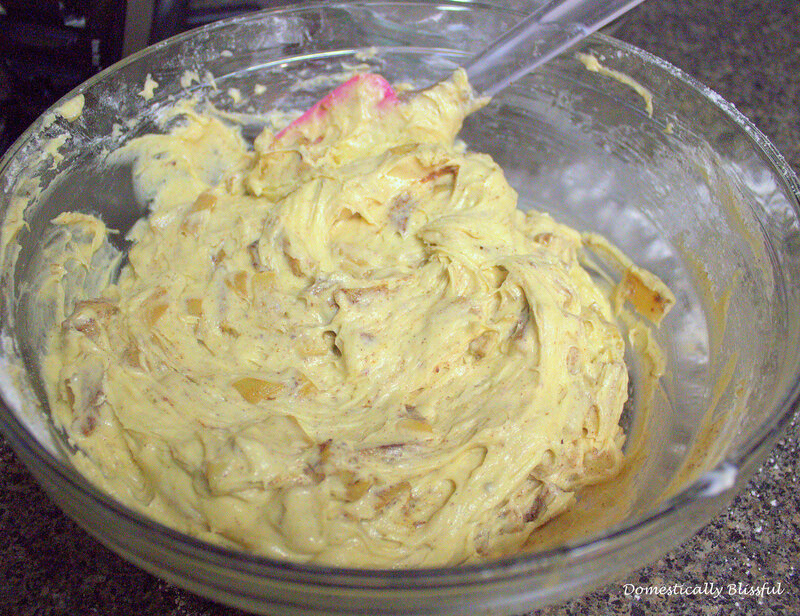 Next, add the rest of the batter – spreading evenly – and evenly sprinkle on the topping. 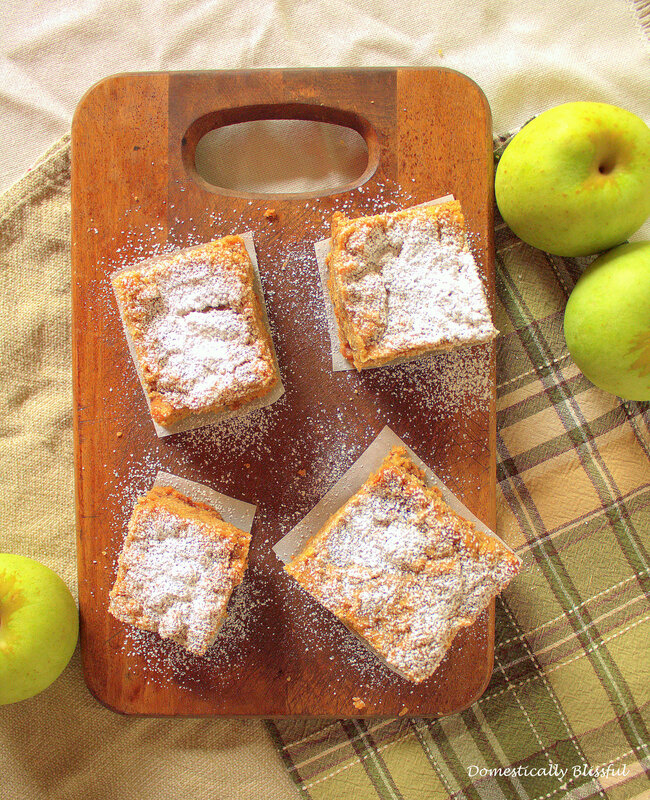 Bake the Apple Cinnamon Coffee Cake until golden brown and a toothpick comes out clean – about 45 minutes. Remove from the oven and let cool. 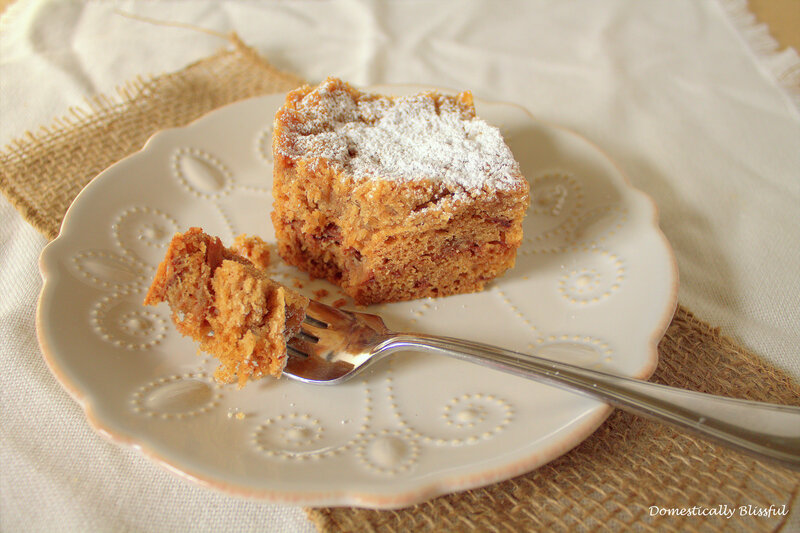 Enjoy this Apple Cinnamon Coffee Cake with a sprinkling of powdered – or create a glaze using powdered sugar and French Vanilla Creamer! In a medium sized bowl mix together the 1 ½ cups all purpose flour, 1 cup packed brown sugar, 1 teaspoon cinnamon, and ½ teaspoon salt. 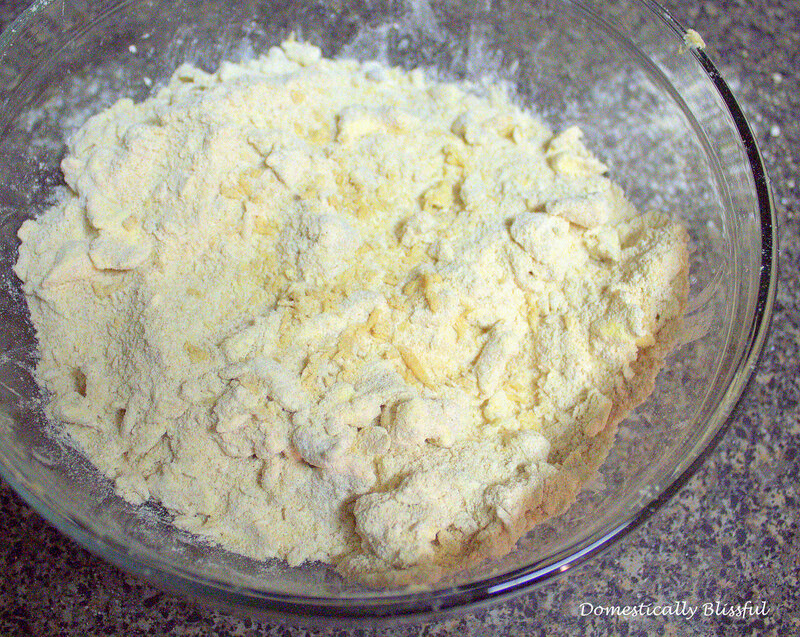 Then take the 1 ½ sticks of very cold butter and use your hands to break it up into the flour mixture. They should be about the size of large peas. Keep cold for later use. 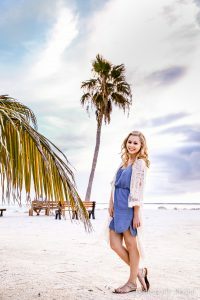 First, sift the 1 ½ cups of cake flour, ½ cup of self rising flour, 1 teaspoon baking soda, 1 teaspoon baking powder, and the 1 teaspoon of salt in a medium sized bowl and set to the side. Next, combine the flour mixture and the sour cream to the creamed butter – alternating between the two. When alternating between the flour and sour cream I added about 1/3 of the flour mix, then half of the sour cream, then the next 1/3 of the flour mix, then the second half of the sour cream, and then finally added the rest of the flour mix.